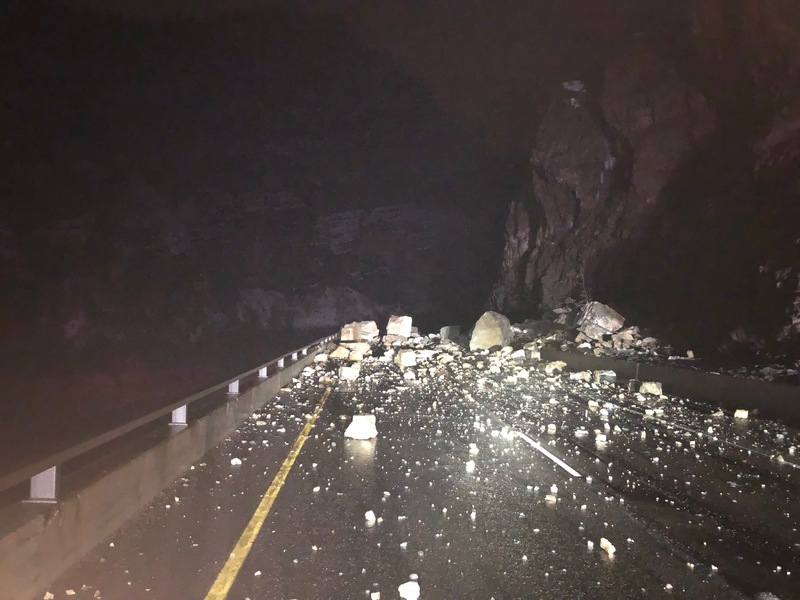 2/5/2019 9:35 PM UPDATE: One lane opened westbound through Glenwood Canyon at approximately 9:00 tonight. Both lanes eastbound reopened earlier tonight. 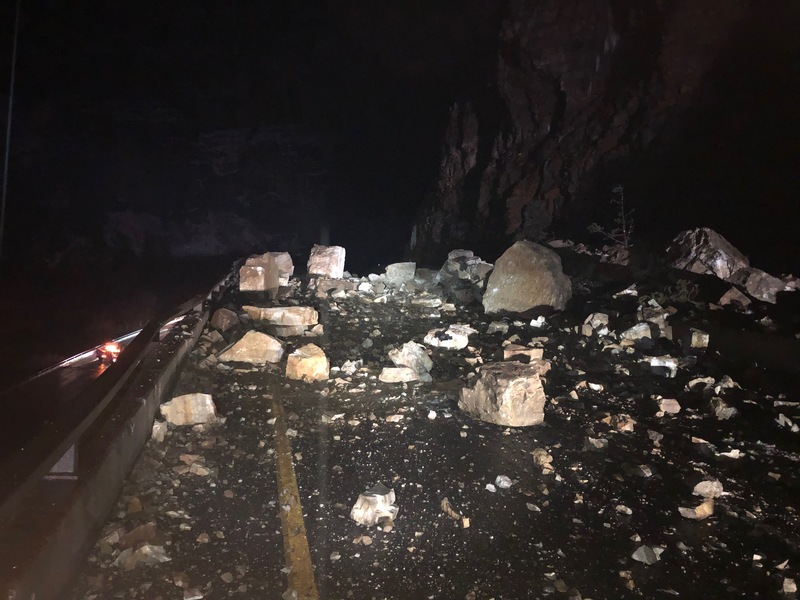 2/5/2019 10:15AM UPDATE: One lane of eastbound I-70 is expected to open before 11:00 this morning, but westbound I-70 will remain closed indefinitely. All lanes will be closed again this afternoon to allow transportation of heavy equipment. 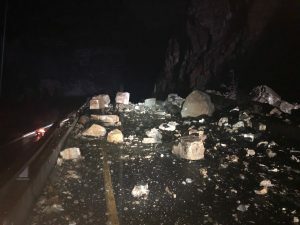 I-70 Remains closed in both directions following an early morning rock slide at mile 120.5 (just west of the Grizzly Creek exit). Tracy Trulove with the Colorado Department of Transportation says the slide occurred around 1:00 AM. No vehicles were involved and no one was hurt. 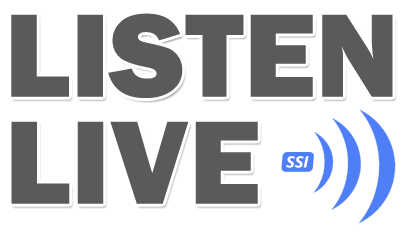 Commercial vehicles are being diverted from eastbound I-70 at the West Glenwood Exit (114) and all remaining traffic will be forced off I-70 at the Main Glenwood Exit (116). The westbound closure is as Dotsero (exit 133).